All modern cars in the UK need to be taxed annually or via a monthly payment to use the road network. But, if you’re planning on keeping your car off the road for an extended period, you’ll need to apply for a Statutory Off Road Notice – or ‘SORN’ for short. This will ensure you don’t need to pay road tax again until you decide to put your car back on the road. 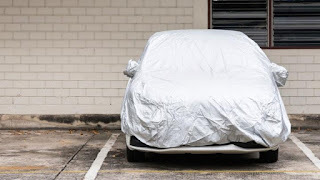 A SORN isn’t suitable if your car spends almost all its time sat on a drive or in the garage, but you plan to use it occasionally, as this will still require it to be taxed. 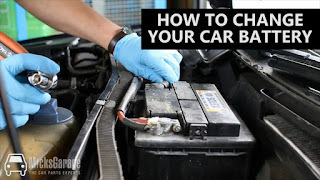 When SORNs become most useful is if your car is unroadworthy, is undergoing restoration, you plan not to use it for a long period of time or it’s being kept in storage. Driving a SORN vehicle on the road is an offence as soon as the wheels touch the tarmac, as this would require it to have been taxed again. Driving without tax can bring a fine of up to £2,500, with only one exception: you will need to be able to prove you’re driving the car to an MoT test that was booked in advance of the journey. What do I need to SORN a vehicle? Thanks to the internet, applying for a SORN for your car only takes a few minutes at www.gov.uk/make-a-sorn. Alternatively, you can speak to the DVLA on 0300 123 4321 or send a V890 application form to: DVLA, Swansea, SA99 1AR. To make your car SORN, you’ll need the 11-digit reference number from its V5C (logbook) or a 16-digit reference code from a road-tax renewal reminder. You’ll need to provide one of these, along with the registration number, make and model, and provide the date you’d like it to be SORN from. The DVLA will refund any overpayment on road tax to you. When the SORN system was first introduced, owners had to update the notification annually. Today, it lasts indefinitely, only expiring when you notify the DVLA when you want to start paying road tax, sell the car or scrap it. Because a SORN cannot be transferred from one owner to another, if you buy a car that’s the subject of a SORN, you have to apply to the DVLA to have it cancelled. Either way, the DVLA will regard the SORN as having ended with the change of owner and road tax will become due once more. As long as they adhere to a few special conditions, vehicle testers and motor traders don’t have to apply for a SORN. Leaving an old car by the wayside and don’t want to pay car tax? If you’ve got a vehicle that won’t be driving on the road, you had better apply for a SORN. If you’ve taken your car off the road and are keeping it without ever planning on driving it on the road, then you’ll need to get it a Statutory Off Road Notification (SORN) for it. This is because the DVLA needs to know that you won’t be on the road and so won’t need to pay car tax. Once you have your SORN, you will automatically get any unused months of road tax refunded to you in the post within six weeks. Tick the SORN box on your V11 (if your tax is already running out). If your road tax is running out, the DVLA will send you a V11 with your vehicles registration number on it. The V11 gives you the various options for renewing your car tax as well as a check box if would like to apply for a SORN. Simply tick this box and send it back to the DVLA to apply for a SORN. Choose when to take your car off the road (if you have full months remaining on your road tax). You can choose to take your car off the road either immediately or on the first day of the next month. You will need different information depending on which you choose: If you choose to take it off immediately, you will need the eleven digit number on your vehicle log book (V5C); if you choose to wait until the first of the next month, you’ll need the 16 digit number on your most recent tax reminder letter (V11). Tell the DVLA that you want to SORN your car. You can do this in a number of different ways. If you are not the registered owner of the car, you must get your SORN by post. Online. Fortunately, the government have a handy page (https://sorn.service.gov.uk/) where you can enter either your V5C, V5C/2 or V11 and follow their simple steps to apply for your SORN. For this option you have to be the vehicles registered owner. By phone. You can apply for a SORN by calling the DVLA at 0300 123 4321. This is a 24 hour phone service, so you can call anytime, and they will take you through all you need to do to get a SORN. When you apply by post, you can choose any day in the current or previous month as the day you take your car off the road. You can also choose a day in the next month or the month after that, but if you do this you’ll have to include a letter explaining why you can’t apply for your SORN closer to the time. Once you have your SORN, you will automatically get a refund on any unused tax months. This should happen within 6 weeks, and if it hasn’t, or if the information on your rebate cheque is wrong, contact the DVLA. 1. 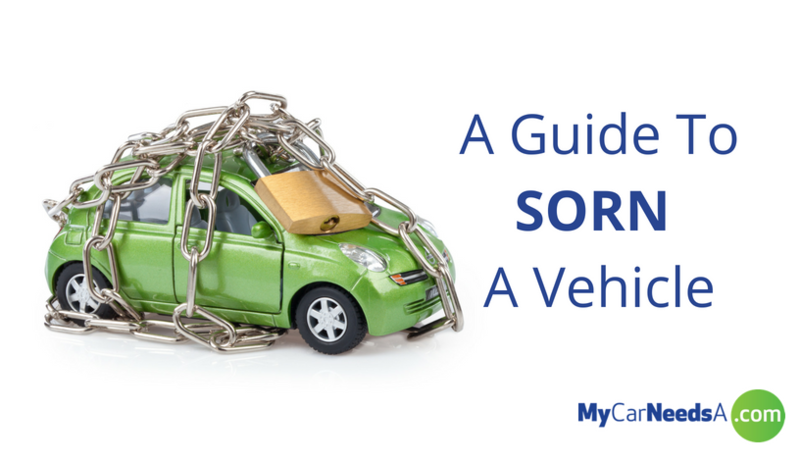 How do I get my car back on the road after SORN? To get a car back on the road after a SORN, all you need to do is apply for road tax and insure your car again. Once you have vehicle tax with your V5C, your SORN will automatically expire.Then all you have to do is get the MOT up-to-date and insure the car. 2. Can you drive a car if it is SORN? No, a car that has a SORN is not allowed on the roads at all and there is a sizeable fine for any infringement. 3. Can you park a car on the road if it is SORN? No, any car on a public road that is not taxed is liable to being reported and fined. 4. 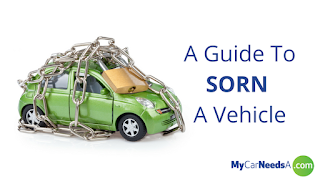 Do you need to insure a car if it is SORN? No, if a car is off the road and not in use it does not need to be insured. 5. Can you drive a SORN car to MOT without insurance? You are allowed to drive of SORN car to a prearranged MOT without insurance if it is within a reasonable distance. Alternatively, you can arrange to have your MOT providers drive to you to pick up a SORN car.